Fortuna Features a highly customized version of Visual Composer – one of the best visual builder plugins out there. It helps you create highly customizable, sophisticated page elements with just the click of a few buttons. We created around 30 custom shortcodes that have so many customization options that will blow your mind. 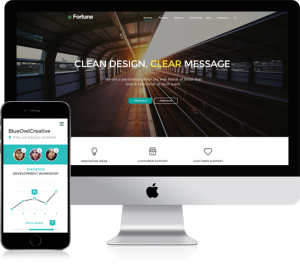 Fortuna wordpress theme features a highly customized version of Visual Composer – one of the best visual builder plugins out there. It helps you create highly customizable, sophisticated page elements with just the click of a few buttons. You can create custom templates holding sets of elements that you can further reuse on your pages. The best of the best is combined in Fortuna, fine aesthetics, strong functional backbone, plenty of customizable elements, a vast array of theme customization options and last but not least a 5 star support. Fortuna features a large set of custom menu presets you can choose from for your main navigation that you can further customize by choosing custom colors, add icons, add menu buttons, add hover effects to menu items etc. Fortuna comes with a vast variety of customizable Theme Options. Additional features include a Transparent header menu navigation, custom Mega Menus, more than 1200 icons to choose from for your menu items. Fortuna features a large set of custom menu presets you can choose from for your main navigation that you can further customize by choosing custom colors, add icons, add menu buttons, add hover effects to menu items etc. Additional features include a Transparent header menu navigation, custom Mega Menus, more than 1200 icons to choose from for your menu items. Extended WP Customize screen, change your Colors, Menus etc. and see the results in real time. Let's work on your exciting new project together!